The first popular jazz singer to move audiences with the intense, personal feeling of classic blues, Billie Holiday changed the art of American pop vocals forever. More than a half-century after her death, it's difficult to believe that prior to her emergence, jazz and pop singers were tied to the Tin Pan Alley tradition and rarely personalized their songs; only blues singers like Bessie Smith and Ma Rainey actually gave the impression they had lived through what they were singing. Billie Holiday's highly stylized reading of this blues tradition revolutionized traditional pop, ripping the decades-long tradition of song plugging in two by refusing to compromise her artistry for either the song or the band. She made clear her debts to Bessie Smith and Louis Armstrong (in her autobiography she admitted, "I always wanted Bessie's big sound and Pops' feeling"), but in truth her style was virtually her own, quite a shock in an age of interchangeable crooners and band singers. With her spirit shining through on every recording, Holiday's technical expertise also excelled in comparison to the great majority of her contemporaries. Often bored by the tired old Tin Pan Alley songs she was forced to record early in her career, Holiday fooled around with the beat and the melody, phrasing behind the beat and often rejuvenating the standard melody with harmonies borrowed from her favorite horn players, Armstrong and Lester Young. (She often said she tried to sing like a horn.) 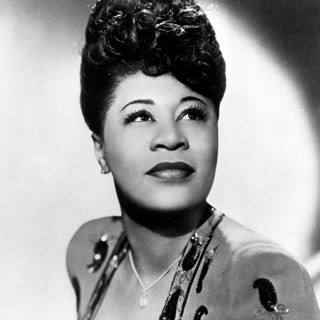 Her notorious private life -- a series of abusive relationships, substance addictions, and periods of depression -- undoubtedly assisted her legendary status, but Holiday's best performances ("Lover Man," "Don't Explain," "Strange Fruit," her own composition "God Bless the Child") remain among the most sensitive and accomplished vocal performances ever recorded. More than technical ability, more than purity of voice, what made Billie Holiday one of the best vocalists of the century -- easily the equal of Ella Fitzgerald or Frank Sinatra -- was her relentlessly individualist temperament, a quality that colored every one of her endlessly nuanced performances. Billie Holiday's chaotic life reportedly began in Baltimore on April 7, 1915 (a few reports say 1912) when she was born Eleanora Fagan Gough. Her father, Clarence Holiday, was a teenaged jazz guitarist and banjo player later to play in Fletcher Henderson's Orchestra. He never married her mother, Sadie Fagan, and left while his daughter was still a baby. (She would later run into him in New York, and though she contracted many guitarists for her sessions before his death in 1937, she always avoided using him.) Holiday's mother was also a young teenager at the time, and whether because of inexperience or neglect, often left her daughter with uncaring relatives. Holiday was sentenced to Catholic reform school at the age of ten, reportedly after she admitted being raped. Though sentenced to stay until she became an adult, a family friend helped get her released after just two years. With her mother, she moved in 1927, first to New Jersey and soon after to Brooklyn. In New York, Holiday helped her mother with domestic work, but soon began moonlighting as a prostitute for the additional income. According to the weighty Billie Holiday legend (which gained additional credence after her notoriously apocryphal autobiography Lady Sings the Blues), her big singing break came in 1933 when a laughable dancing audition at a speakeasy prompted her accompanist to ask her if she could sing. In fact, Holiday was most likely singing at clubs all over New York City as early as 1930-31. Whatever the true story, she first gained some publicity in early 1933, when record producer John Hammond -- only three years older than Holiday herself, and just at the beginning of a legendary career -- wrote her up in a column for Melody Maker and brought Benny Goodman to one of her performances. After recording a demo at Columbia Studios, Holiday joined a small group led by Goodman to make her commercial debut on November 27, 1933 with "Your Mother's Son-In-Law." Though she didn't return to the studio for over a year, Billie Holiday spent 1934 moving up the rungs of the competitive New York bar scene. By early 1935, she made her debut at the Apollo Theater and appeared in a one-reeler film with Duke Ellington. During the last half of 1935, Holiday finally entered the studio again and recorded a total of four sessions. With a pick-up band supervised by pianist Teddy Wilson, she recorded a series of obscure, forgettable songs straight from the gutters of Tin Pan Alley -- in other words, the only songs available to an obscure black band during the mid-'30s. (During the swing era, music publishers kept the best songs strictly in the hands of society orchestras and popular white singers.) Despite the poor song quality, Holiday and various groups (including trumpeter Roy Eldridge, alto Johnny Hodges, and tenors Ben Webster and Chu Berry) energized flat songs like "What a Little Moonlight Can Do," "Twenty-Four Hours a Day" and "If You Were Mine" (to say nothing of "Eeny Meeny Miney Mo" and "Yankee Doodle Never Went to Town"). The great combo playing and Holiday's increasingly assured vocals made them quite popular on Columbia, Brunswick and Vocalion. During 1936, Holiday toured with groups led by Jimmie Lunceford and Fletcher Henderson, then returned to New York for several more sessions. In late January 1937, she recorded several numbers with a small group culled from one of Hammond's new discoveries, Count Basie's Orchestra. Tenor Lester Young, who'd briefly known Billie several years earlier, and trumpeter Buck Clayton were to become especially attached to Holiday. The three did much of their best recorded work together during the late '30s, and Holiday herself bestowed the nickname Pres on Young, while he dubbed her Lady Day for her elegance. By the spring of 1937, she began touring with Basie as the female complement to his male singer, Jimmy Rushing. The association lasted less than a year, however. Though officially she was fired from the band for being temperamental and unreliable, shadowy influences higher up in the publishing world reportedly commanded the action after she refused to begin singing '20s female blues standards. 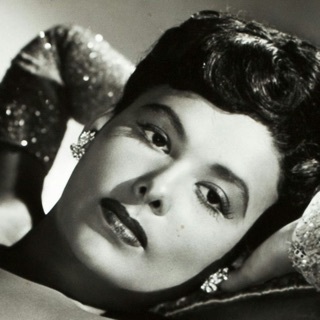 At least temporarily, the move actually benefited Holiday -- less than a month after leaving Basie, she was hired by Artie Shaw's popular band. 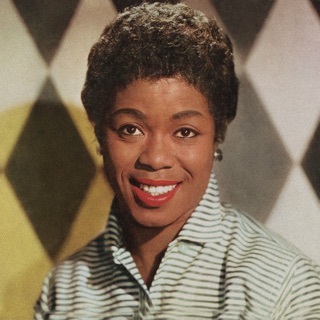 She began singing with the group in 1938, one of the first instances of a black female appearing with a white group. Despite the continuing support of the entire band, however, show promoters and radio sponsors soon began objecting to Holiday -- based on her unorthodox singing style almost as much as her race. After a series of escalating indignities, Holiday quit the band in disgust. Yet again, her judgment proved valuable; the added freedom allowed her to take a gig at a hip new club named Café Society, the first popular nightspot with an inter-racial audience. There, Billie Holiday learned the song that would catapult her career to a new level: "Strange Fruit." The standard, written by Café Society regular Lewis Allen and forever tied to Holiday, is an anguished reprisal of the intense racism still persistent in the South. Though Holiday initially expressed doubts about adding such a bald, uncompromising song to her repertoire, she pulled it off thanks largely to her powers of nuance and subtlety. "Strange Fruit" soon became the highlight of her performances. Though John Hammond refused to record it (not for its politics but for its overly pungent imagery), he allowed Holiday a bit of leverage to record for Commodore, the label owned by jazz record-store owner Milt Gabler. Once released, "Strange Fruit" was banned by many radio outlets, though the growing jukebox industry (and the inclusion of the excellent "Fine and Mellow" on the flip) made it a rather large, though controversial, hit. She continued recording for Columbia labels until 1942, and hit big again with her most famous composition, 1941's "God Bless the Child." Gabler, who also worked A&R for Decca, signed her to the label in 1944 to record "Lover Man," a song written especially for her and her third big hit. Neatly side-stepping the musician's union ban that afflicted her former label, Holiday soon became a priority at Decca, earning the right to top-quality material and lavish string sections for her sessions. She continued recording scattered sessions for Decca during the rest of the '40s, and recorded several of her best-loved songs including Bessie Smith's "'Tain't Nobody's Business If I Do," "Them There Eyes," and "Crazy He Calls Me." Though her artistry was at its peak, Billie Holiday's emotional life began a turbulent period during the mid-'40s. Already heavily into alcohol and marijuana, she began smoking opium early in the decade with her first husband, Johnnie Monroe. The marriage didn't last, but hot on its heels came a second marriage to trumpeter Joe Guy and a move to heroin. Despite her triumphant concert at New York's Town Hall and a small film role -- as a maid (!) 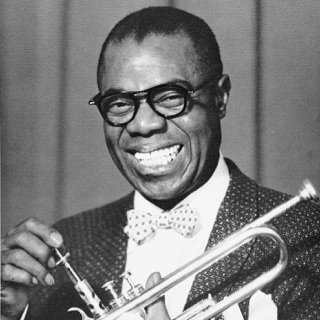 -- with Louis Armstrong in 1947's New Orleans, she lost a good deal of money running her own orchestra with Joe Guy. Her mother's death soon after affected her deeply, and in 1947 she was arrested for possession of heroin and sentenced to eight months in prison. Unfortunately, Holiday's troubles only continued after her release. The drug charge made it impossible for her to get a cabaret card, so nightclub performances were out of the question. Plagued by various celebrity hawks from all portions of the underworld (jazz, drugs, song publishing, etc. ), she soldiered on for Decca until 1950. Two years later, she began recording for jazz entrepreneur Norman Granz, owner of the excellent labels Clef, Norgran, and by 1956, Verve. The recordings returned her to the small-group intimacy of her Columbia work, and reunited her with Ben Webster as well as other top-flight musicians such as Oscar Peterson, Harry "Sweets" Edison, and Charlie Shavers. 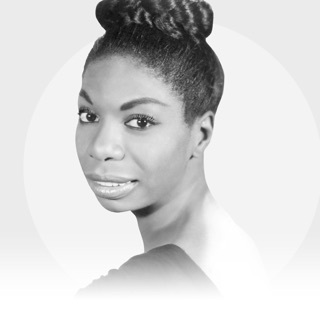 Though the ravages of a hard life were beginning to take their toll on her voice, many of Holiday's mid-'50s recordings are just as intense and beautiful as her classic work.